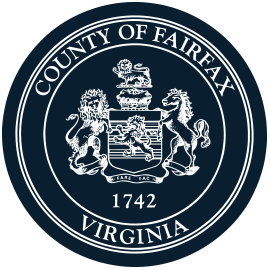 Fairfax County, VA – Sanitary sewer replacement projects rarely make headline news. Digging up, repairing, and replacing aging pipes is just part of wastewater infrastructure’s life cycle. But when a project embraces sustainable practices and finds a constructive use for a waste product, it is worth mentioning. One example, a project along Flatlick Branch in Fairfax County, is currently underway. When new sewer pipe is placed in the ground, it will rest on a bed of crushed glass instead of the traditional bedding of quarried stone. The market for recycled glass in Virginia has been declining for years and glass creates problems for single-stream recycling programs like Fairfax County’s. Glass is heavy, which increases transportation costs, and often breaks during collection and transport. It can damage machinery at sorting facilties and contaminate more valuable recyclables, such as cardboard and plastic. For years, most glass has passed through the recycling process as residue, or waste. Some of the glass is applied as landfill cover but most is simply landfilled with other unrecyclable waste. Many recycling programs around the country have removed glass from their collection programs, but Fairfax County is exploring a new use for glass. Clean glass is collected in purple containers at drop-off sites in and around Fairfax County. Full containers of glass are delivered to Fairfax County’s glass processing plant where a large pulverizing machine crushes up to 20 tons of glass per hour. Some of that crushed glass is headed to Fairfax County’s Flatlick Branch stream restoration project. The once badly eroded two-mile stream corridor is being reconnected to the floodplain, stabilized, and replanted with native vegetation to provide food and habitat for wildlife, resulting in a healthy stream with improved water quality. Much of the sanitary sewer line that runs through the area is being rehabilitated using a cured-in-place pipe lining technique, in which a plastic tube is inserted into the pipe to increase the pipe’s lifespan. This trenchless method is less expensive and creates less land disturbance than replacing old sewer pipe; however, some replacement is necessary. The new 175-foot section of sanitary sewer pipe that crosses under the stream is made of ductile iron, encased on steel, and has the capacity to handle larger anticipated flows. To be stabilized in place, the pipe would typically be placed on a six-inch-deep bed and then covered with four inches of crushed stone before soil is backfilled into the excavated trench. But in this case, the pipe will rest on crushed glass – an estimated 525 tons. The crushed glass should support the sanitary sewer pipe for decades to come. For resources and tools related to sustainability, visit the Center for Sustainability (C4S) and C4S Toolkit.